Haven’t been to many estate sales lately, but decided to go to one today. It was my favorite kind…a liquidation estate sale. They are usually messy and a bit light on goods, but have fantastic prices. I managed to get to the house (just five miles away) by 7:55 a.m., over an hour from opening time. Was hoping to be number 19 or 20 on the signup list. But holy smokes I was number 36! I knew I wouldn’t even make it inside in the first group. And I didn’t. I had decided to go to this sale particularly because it was advertised as having thousands of books. But once I got inside I realized that there was one problem, many of the books were musty, dusty and foxed. This was one damp house…which is death to books. So out of thousands to choose from, I bought six. Just six. 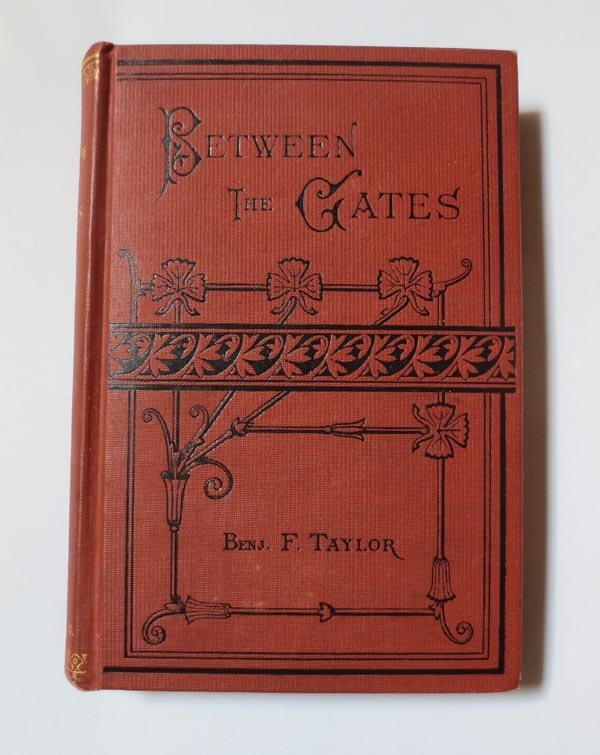 An 1882 “Between the Gates” book features California history. 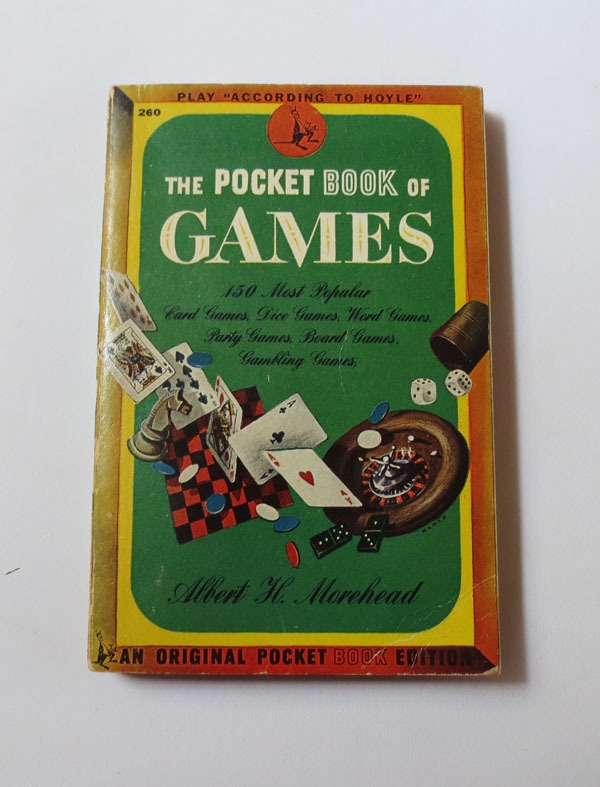 It is in pretty good condition for its age. Love the fancy cover. 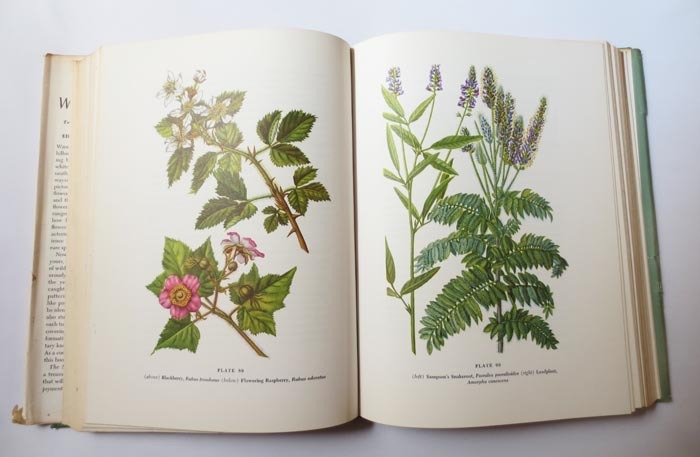 Almost didn’t buy this 1960 “MacMillan Wild Flower Book.” It’s stained along the bottom and side page edges, but the great 4-color illustrated plates throughout swayed me. 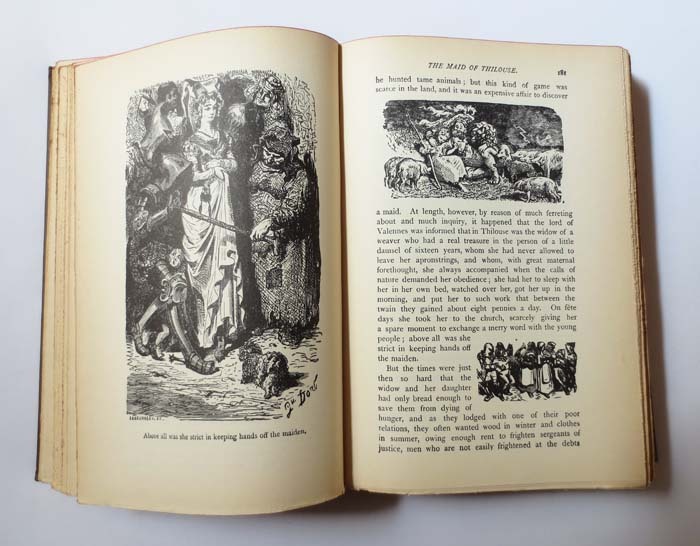 This 1874 book, “Droll Stories by Honore de Balzac,” has a few condition issues, but is lavishly illustrated and was too cool to pass up for $1.00! I decided against buying any of the pottery items. They were just too clunky looking and had unappealing colors and forms. I would have bought the empty leather binoculars’ case, but the clasp was broken. A couple of abstract paintings caught my eye, but they already sported “sold” stickers. Sigh!! My only non-book items…a geode that would make a great paperweight (didn’t really capture its beauty in this photo) and two charming little Chinese shoes. These look like they have a bit of age. So, all in all, not a big haul, but I did get to chat beforehand with Diane, a really nice woman I had met at a previous sale, and with Kate, a young woman who was there with her boyfriend hoping to find some nice stuff for their apartment. These little connections sweetened the morning. Perhaps the saddest part of the sale was a man I saw sitting on a couch with a cane resting near his leg. He never moved from the couch, never spoke to anyone, never smiled. I wondered as I walked back to my car if he was the owner of this house. If so…what was he thinking?!!! How about you…any good estate sale finds?? Oh books. I wish I owned some old ones. Any Bargains in Boutique Thrift Stores? Estate Sale Dirt and Treasures?